Firefighters worked through Friday night and Saturday morning to stop the blaze. 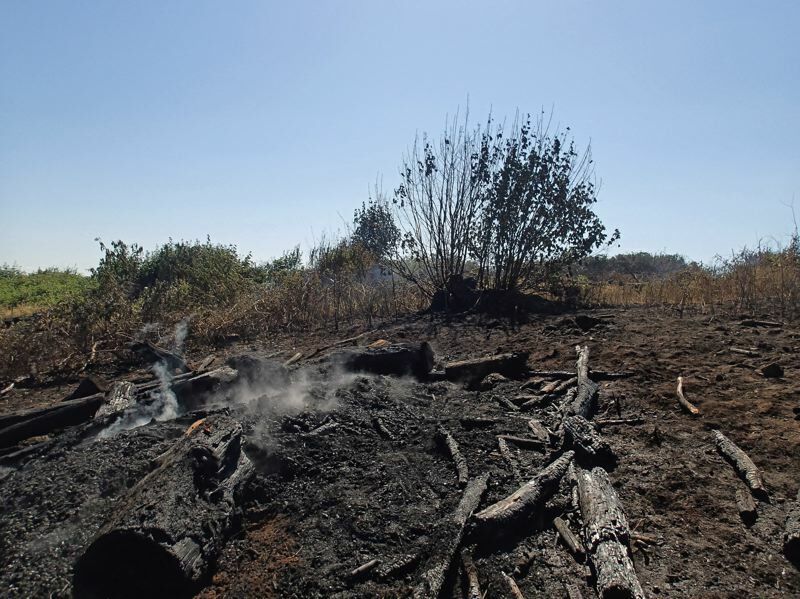 Firefighters from Tualatin Valley Fire & Rescue worked into Saturday at a site near the 22000 block of Southwest Kruger Road outside Sherwood, where a brush fire burned approximately three acres overnight. A man called 9-1-1 just before 10 p.m. on Friday, July 20, to report the fire that started after a tree limb fell onto a power line and sparks ignited grass below. Once firefighters located the fire, a second alarm was called to get enough crews to surround the fire and shuttle water to the area that lacks hydrants. Firefighters worked through Friday night and into Saturday morning to extinguish burning trees, brush and grass. They also protected a home and hazelnut orchard as the fire burned within 200 feet. They worked in shifts to maintain a fire watch throughout Saturday, turning over charred debris and wetting down adjacent areas to ensure that nothing rekindled.